I'm not implying that the M's previous 6 wins were just luck, but hits were dropping into holes for the M's like never before in the previous couple games. The M's had a pair of 15 hit games before tonight. They weren't getting called out on bad calls by the umpires, and they weren't throwing the game away by doing nothing with runners in scoring position. Tonight was a different story as the M's scaled back their hits by more than half with just seven. Which I must admit, is still better than many games that we have played. Miguel Olivo had the productivity on offense today as he tied the game in the 4th inning on a two run homerun. He came close to scoring a third run in the game in the top of the 7th by leading off the inning with a double and moving to 3rd on a fly out. Peguero hit the ball to second base and Olivo came rushing home only to be greeted by a tag from Twins catcher Rene Rivera. Alexi Casilla made a terrific heads up play and gunned him down. This is one instance of bad luck by the M's considering that Brendan Ryan came up next and hit a single. Olivo would have scored. Oh well. The bottom of the seventh was more bad luck. With one out and runners at 1st and 3rd, Fister tried to fake a throw to 3rd and move to 1st base when he was called for a balk. This call is totally a judgement call on behalf of the umpire and it clearly upset Fister who didn't agree. Neither did anybody else, including announcers on the replays, but I guess thats in hindsight now. The run came in from 3rd on the balk and sent Casilla to 2nd. Denard Span then hit a double, scoring Casilla from second and that was that for the Twins as they ended up winning by that score of 4 - 2. Fister may have given up a run anyway, one will never know, but I do believe that when you have calls go against you like that it really messes with your head as a pitcher, the same as an error does. Some positives from tonights game, the bullpen didn't allow a hit and just one walk to Jim Thome and I don't know if a pitcher really counts that as a bad thing. We saw new pitcher Jeff Gray for the first time and he did a great job. 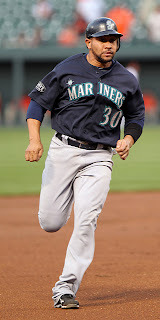 Brendan Ryan continues to be a machine at the plate going 3 for 3 tonight out of the 7 Mariner hits. Way to go Ryan! Concern: Ichiro and Figgins went a combined 0 for 8 tonight and they are supposed to be the ones on base more than anybody. That one, two combo at the beginning of the order hasn't been working well as of late and there are a lot of grumblings in Seattle that the number two spot in the order needs to change. Figgy has been struggling all season s thus far. Brendan Ryan is making a good case to move up in the order. Amongst speculation of Dustin Ackley coming up soon, the known position for him is second base, but amongst our veteran guys at second or short, can any of them play third? What to do with Choney?